If you want to know how well Windows 10 is doing in terms of share, you have a number of choices. You can view the figures from StatCounter, which show Windows 10 now ahead of Windows 7, or you can view the figures from NetMarketShare, which show Windows 7 still comfortably in the lead. 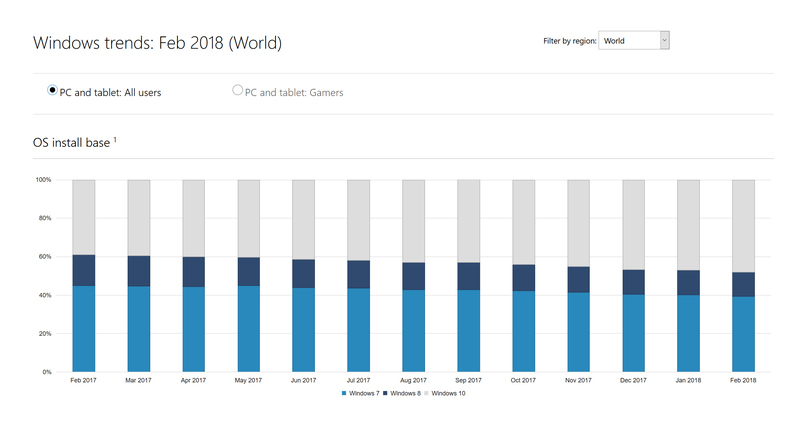 You can also look at the figures from Steam, which show the gamer’s perspective, but recently that has been skewed with a large influx of Chinese gamers using Windows 7. Microsoft used to offer its own figures, but stopped updating those in February 2017. However, after a year, it has finally updated its Windows trends page once more, providing an up to date breakdown of Windows market share. The latest Windows trends figures go from February 2017 to February 2018, and in that first month show Windows 10 on 39 percent share, with Windows 7 on 45 percent. That seems fair, although the numbers aren’t the same as they used to be. When they were last updated, in February 2017, Windows 10 had 46 percent share and Windows 7 39 percent. So there’s obviously been some adjustment going on. It’s no surprise that those original numbers were probably inaccurate, as Microsoft had Windows 10 overtaking Windows 7 back in 2016, and that clearly never happened. Anyway, moving on, Microsoft’s new figures show Windows 10 reaching parity with Windows 7 in August 2017 (43 percent each), and overtaking it in October. The latest numbers, for February 2018, have Windows 10 on 48 percent and Windows 7 on 39 percent, giving the new OS a sizable 9 percent lead. Unlike StatCounter and NetMarketShare’s figures, the Windows trends numbers only include Windows 7, Windows 8.x and Windows 10. There’s no mention of XP or Vista, although that’s to be expected. Windows 8.x currently has 13 percent share. Those figures are for the global market. Switching just to the US, and Microsoft has Windows 10 on 49 percent in February 2017, rising to 60 percent last month. In comparison, Windows 7 was on 39 percent in February 2017, falling to 32 percent in a year. Again, the February 2017 numbers have changed. The last time they were updated, Microsoft had Windows 10 on 55 percent and Windows 7 on 34 percent. Microsoft’s own Windows 10 reporting has always been a bit on the generous side, but these latest figures look to be a lot more realistic. 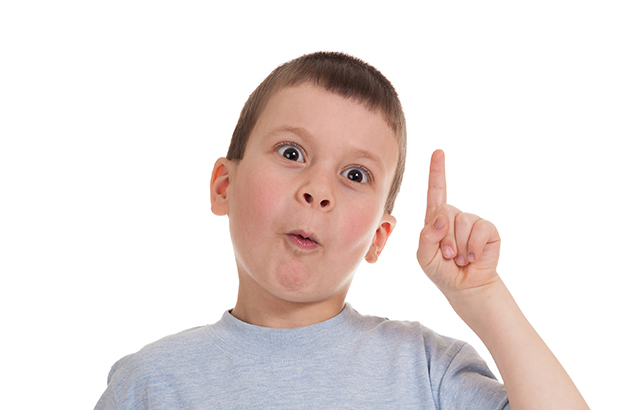 Do you think Windows 10’s share is as high as Microsoft would have us believe? Share your thoughts in the comments below.